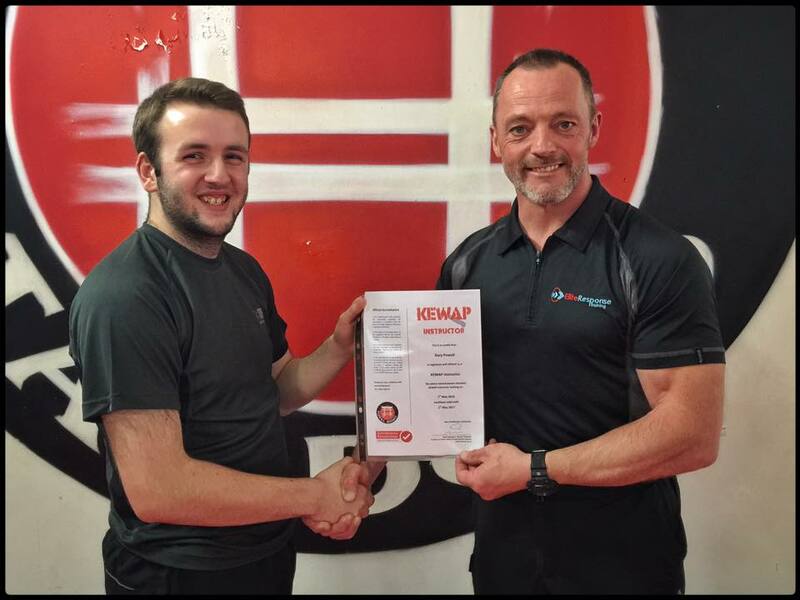 Here’s Mr Powell receiving his KEWAP Level 1 Instructor Award from Steven Timperley. 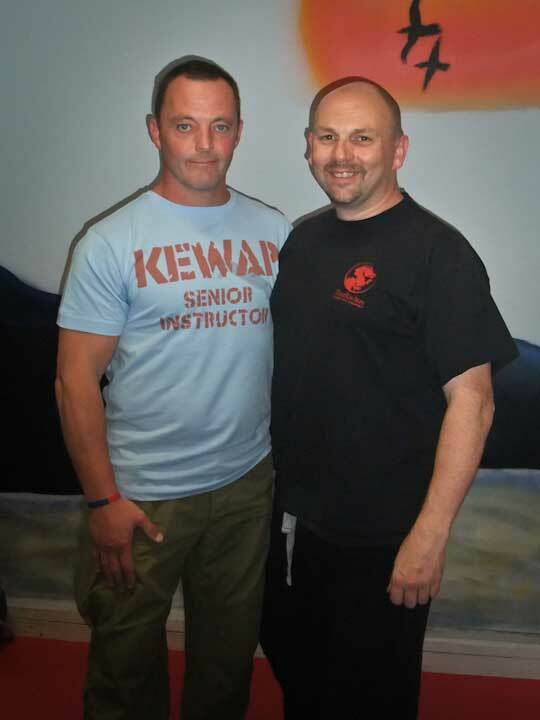 Master Olpin and Mr Powell travelled up to Bletchley today for the Knives & Edged Weapons Awareness Programme (KEWAP) instructor course where Mr Powell was awarded his level one KEWAP instructor award. KEWAP is a specialist program which aims to teach awareness of the dangers of dealing with knives and other weapons in a self protection environment. Master Olpin has been involved with this group since it was founded about five years ago and is a senior instructor in the organisation, he is also a master instructor within the parent organisation Self Defence UK.